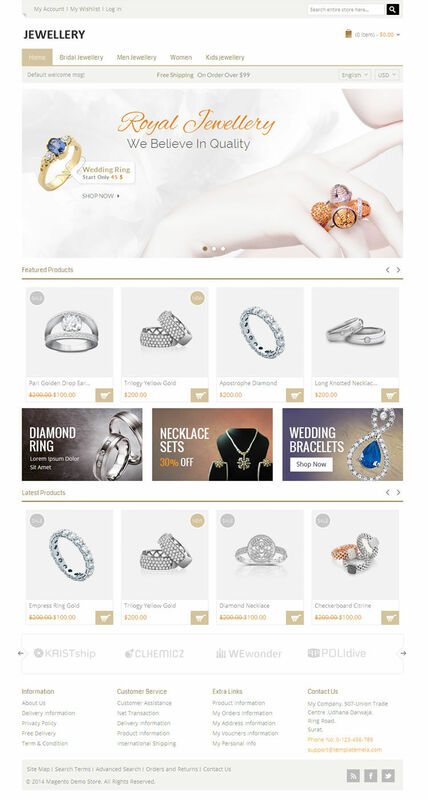 Jewellery Magento Template is specially design for jewellery, wedding, apparel and cosmetic stores. 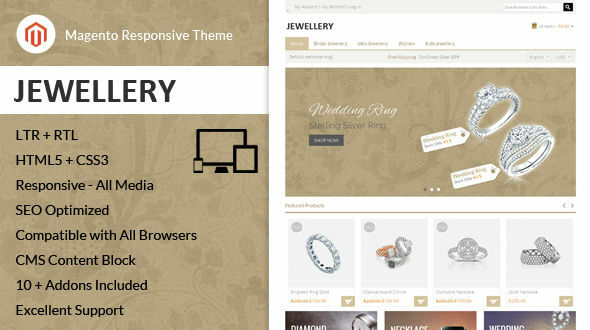 Jewellery Magento Template is looking good with it’s color combination. All sub pages are customized. It is very nice with its professional look.